Failed to find target android-18… D’oh! One of the first problems I’ve found on my Android adventure is to configure the environment. Although there are lots of tutorials and IDEs to do it for me, I’ve decided to start building my “toys” with the newest building tool, Gradle (http://www.gradle.org). 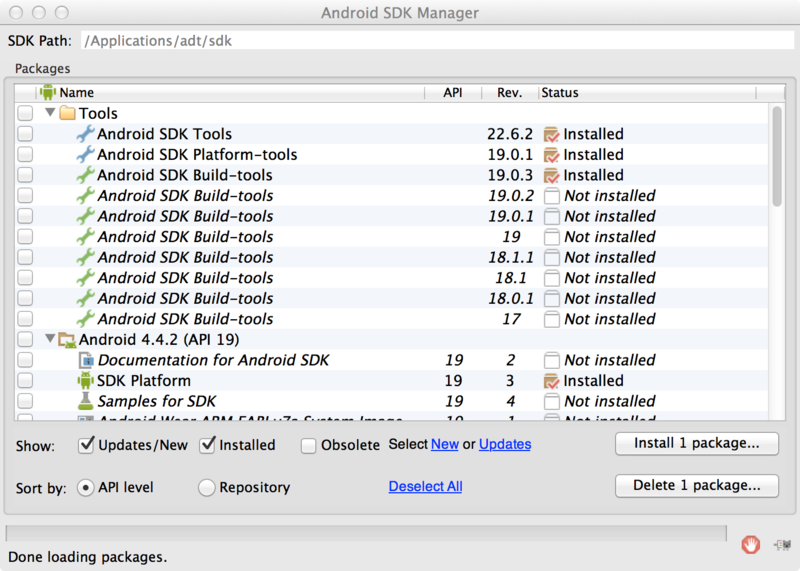 Could not determine the dependencies of task ':mobile-app:packageDebug'. Once I did this everything started to work fine. Easy, simple and… obvious, d’oh!